We offer 3 different thicknesses in our Hubs. No matter the thickness, or application, unless requested, all Hub's come as kit's. 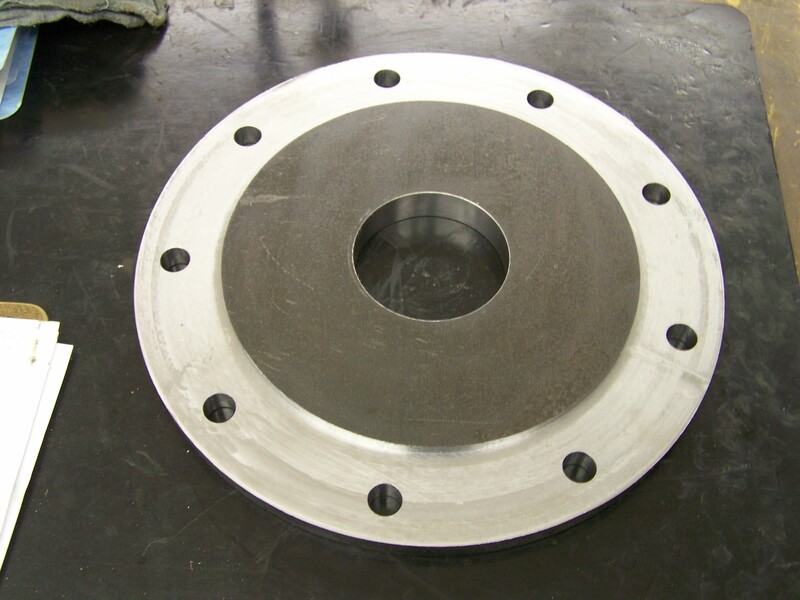 All hubs also utilize a Top Grade Steel and machined on a state of the art CNC Mill to the utmost precision. is a Half Inch Thick, Nine bolt hub kit, shown with the included hardware. All hub kit's include 9/16" Studs and Lugnuts. 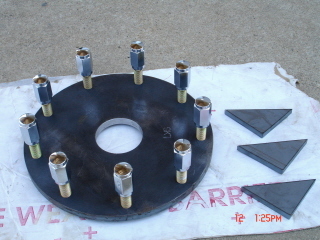 This type of hub in the photo is typically that of one used on Antique Pulling Tractors. As tractors get larger, more powerful, and stronger...so do our Hub kits. 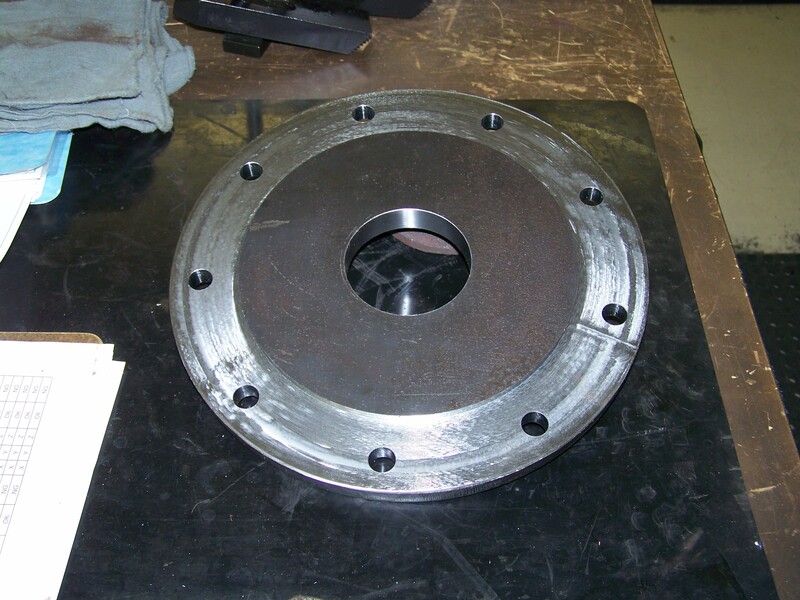 Below is a picture of a 3/4" (0.75in)hub just after it is removed from the mill. Although it is not shown in the photo, as with all hub kits, all hardware is included! One benefit of the 3/4" hub is the mounting lip in which we incorporate which increase strength substantially! When you have built or are building a "Pro" or "Super" Class tractor that is capable of big horsepower, you need a hub that will take all that power and put it to the ground...Let us introduce you to the one you need! The Big Duke, also known as our 1" thick Hub kit that can take anything you can throw at it! This kit is for the puller who wants the toughest hubs! As in all kits, all hardware is included to ensure the best weld-on hub kit available!